Dette bildet er tegnet av Oddvar Strand, fange på Falstad i 1944. Motivet er cellegangen i andre etasje, i den delen av Falstad-bygningen som i dag rommer kontorer. 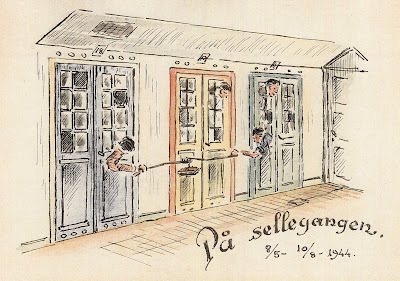 This drawing was made by Oddvar Strand, prisoner at Falstad in 1944. 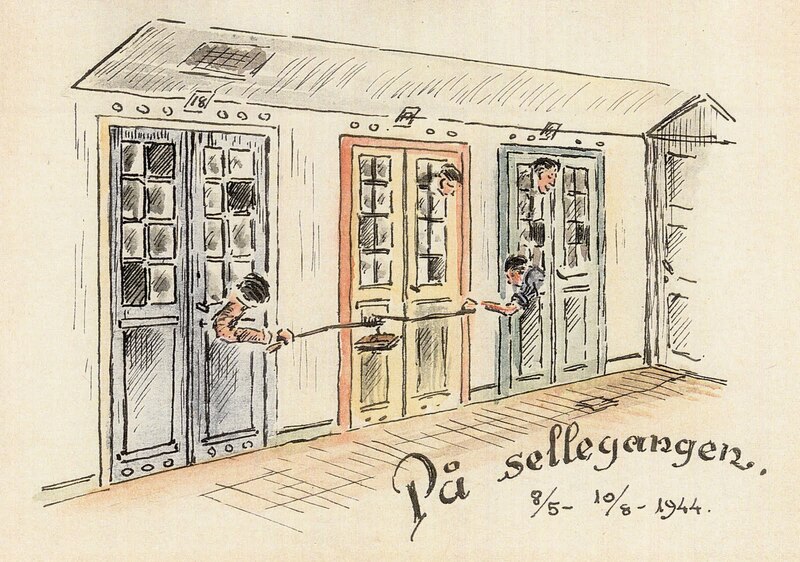 The motif is the corridor with prisoner cells, located in the attic of the main building. Today this part of the building houses staff offices.